Happy Friday! Hope you've had an awesome week! Sometimes all you feel like putting on is a comfy t-shirt and shorts and heading out the door! 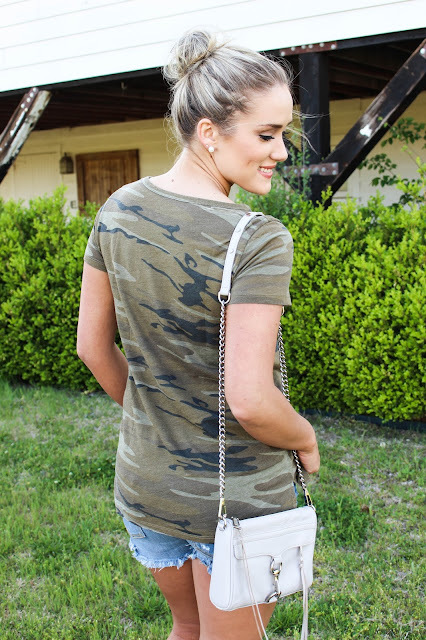 I found this camo tee at Target the other day and I knew I had to have it! 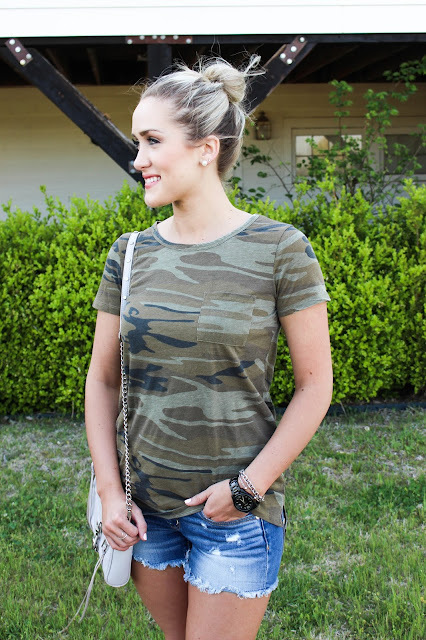 It is very soft, the fit is perfect and its camo...so its a winner in my book! I wear so many jeans from American Eagle on here. They seriously have the best jeans, and they are priced reasonably. 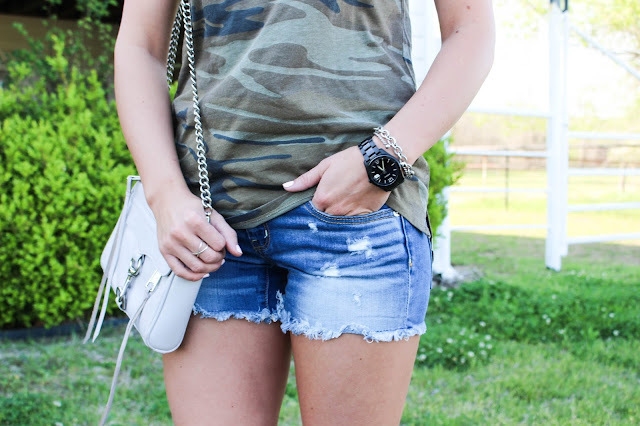 I got these shorts for this Summer and I am loving them! They are the perfect length; not too short, not too long. 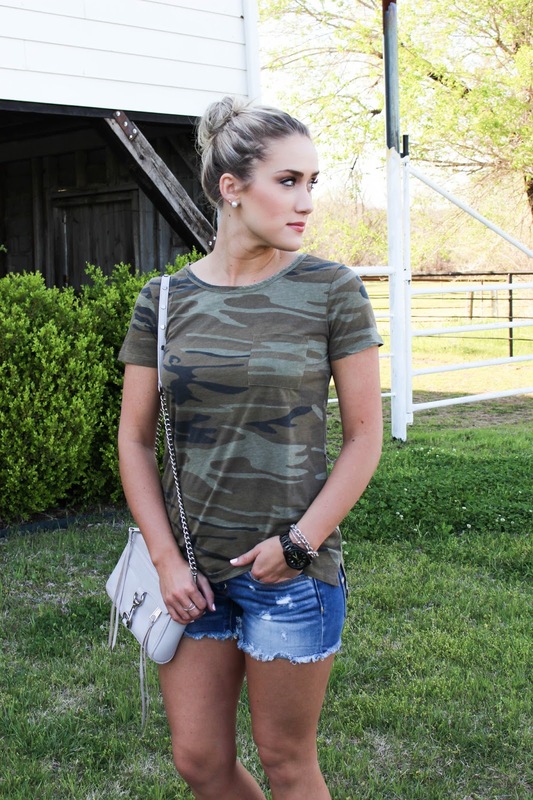 The fit is perfect (just like every pair of jeans and shorts are from AE)! I highly recommend them!